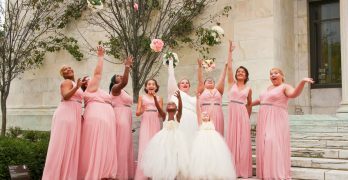 Spring brings a lot of events: Easter, Mother’s Day, appreciation days for office professionals, teachers, and nurses; graduations; bridal showers and weddings; and many more. With so many gifting opportunities, making handmade items to tuck into gift bags gives a personal touch. Bramble Berry carries quality ingredients to make handmade soaps, bath bombs, and other body care items. These ingredients can be purchased a la carte or in kits. Bramble Berry makes it easy to make your own handmade gifts. 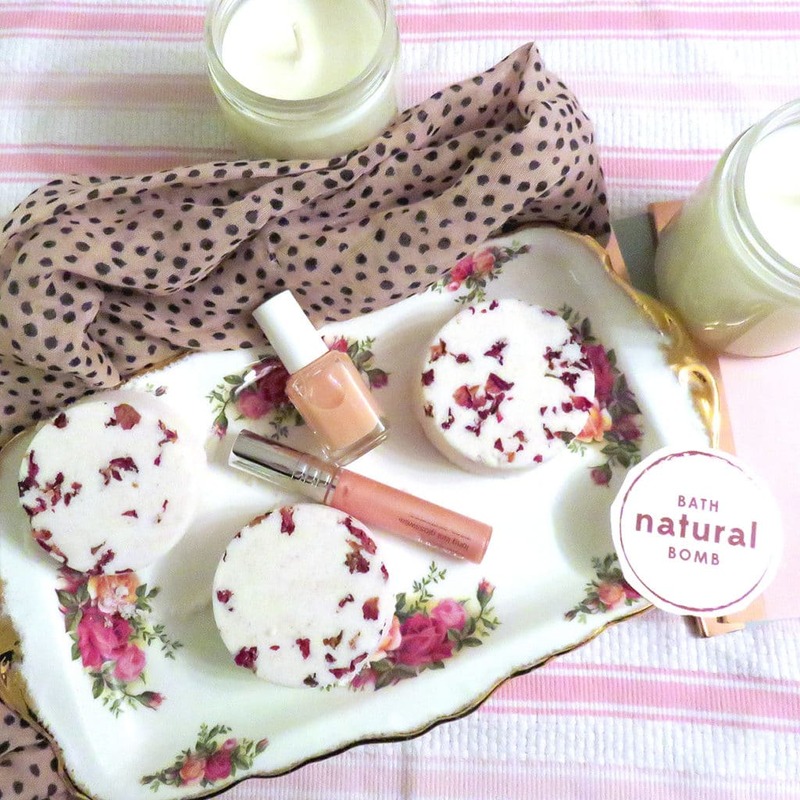 I received the Natural Bath Bomb kit to make and review. I love that it has all the basic ingredients of baking soda, citric acid, and witch hazel, but it also includes items which make them special: essential oils, pink sea salt, and rose petals. 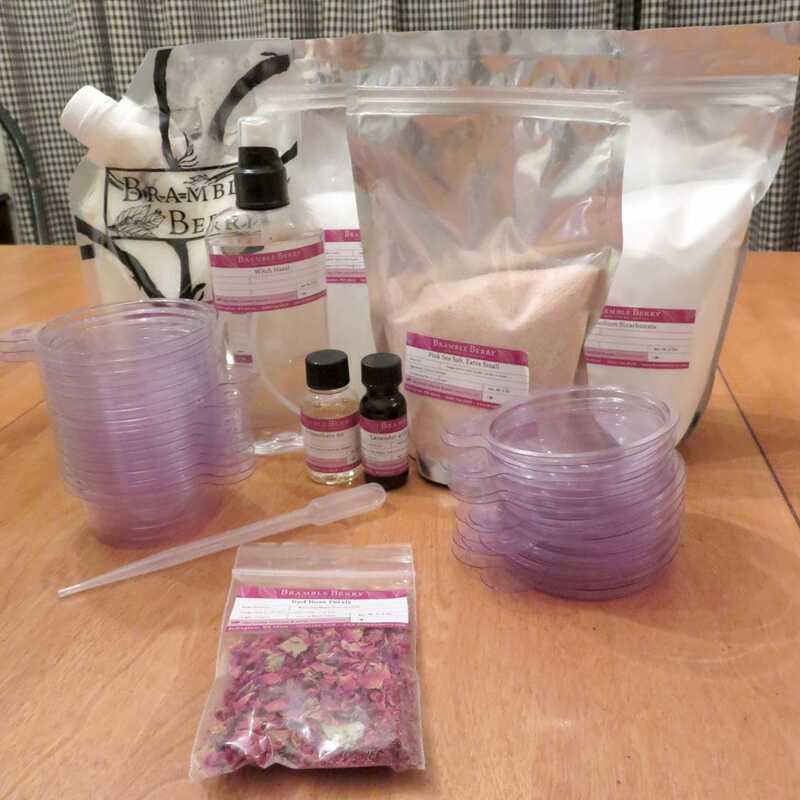 Everything you need to make the bath bombs is included! The instructions are very clear and include step-by-step pictures, but if you prefer a tutorial video, you can access one online. It’s the perfect craft for a beginner, and with supervision, appropriate for most ages. It’s a craft gift which takes less than an hour to make, but build in drying time before gifting. Easy to set up, mix in a few steps, combine ingredients, and fill the molds—it’s that simple. Make sure to wear the gloves because it’s a little bit messy, but it’s a very easy cleanup. And, it will smell good the whole time you’re making the bombs. What I love: everything is included, even molds with lids for gifting, labels for the molds, ideas for using the leftover ingredients, and it’s so easy! 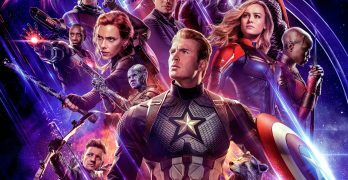 There’s nothing to dislike. The little details included in the Bramble Berry kits set them apart from others—the lavender essential oil and rose petals give the bath bombs an extra special touch. They’re fun to make, the bombs look so pretty, and they smell wonderful! 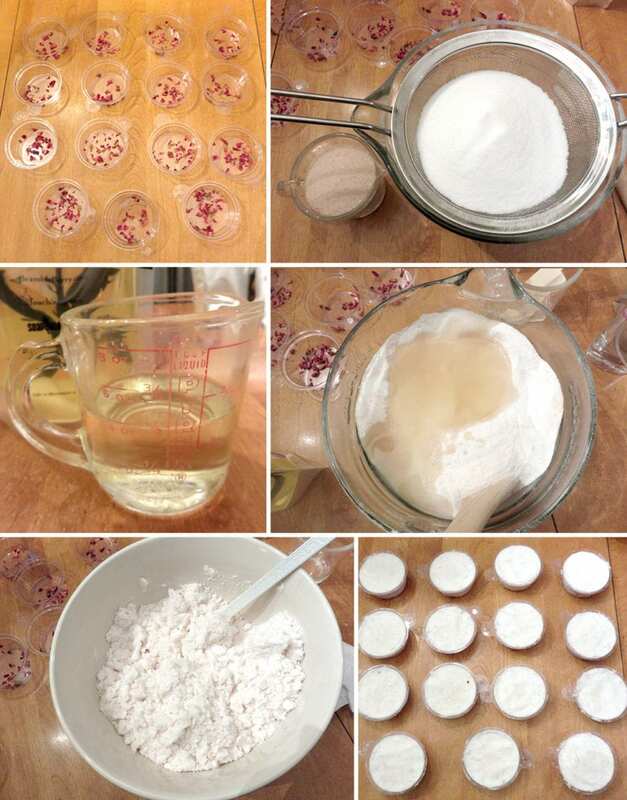 Your friends will be surprised the Bramble Berry Bath Bombs aren’t store-bought, and they’ll appreciate you made them yourself. 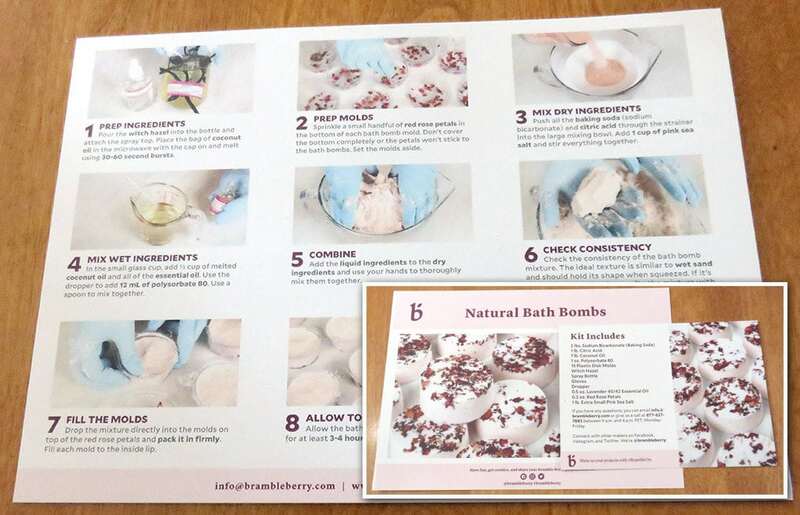 After making the bath bombs, you’ll be inspired to try your hand at making other items available on the Bramble Berry site.